I’m actually very upset that this happened. 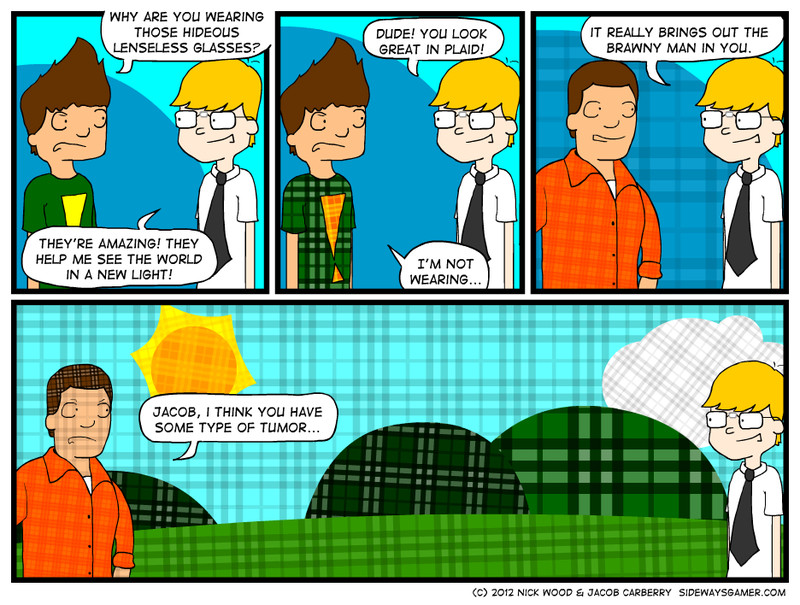 This comic is the spiritual successor to last Thursday’s comic. The one about that cats? In the post, I said Jacob didn’t think of a good idea, so I made that comic about cats. Well, he still didn’t come up with a good idea, but I made it anyway. Because I’m a good sport. The joke is that I apparently wear too much plaid. Everyone at work calls me the Brawny Man. So this happened.